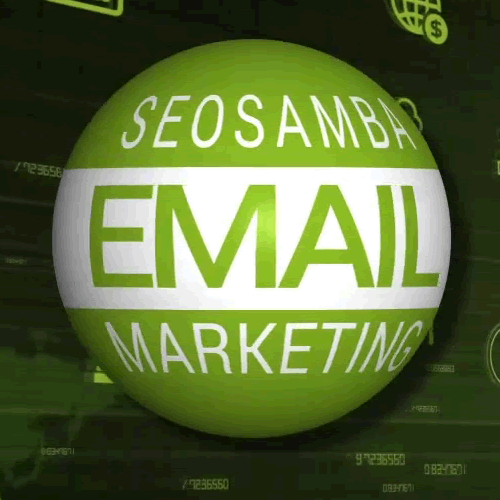 In 2016, SeoSamba will celebrate its 8th year of existence - which does sound like an eternity in today’s fast-paced world - but I have been in the internet business for over twenty years now. Though I’ve learned many lessons during that time, today I’d like to share with you one of the most important of all . But first, let me quickly tell you the story of an acquaintance of mine. Back in 1997, this old-school print shop guy was making mad money by selling large posters by mail order thanks to a very well established website on AltaVista, the then-king of search engines. When AltaVista changed its strategy two years later to become a one-stop portal for email and web shops, he sticked with it, as it had faithfully and reliably provided him with 90% of its sales inquiries. That’s when his flourishing business went kaboom. AltaVista had totally turned its referencing strategy around in the process, and the poster-selling website went from longstanding #1 to SRP oblivion. By the time our client finally understood where his potential customers had gone (hello, Google! ), the business had gone belly up. So, back to our important lesson. Never put all your eggs in the same basket. 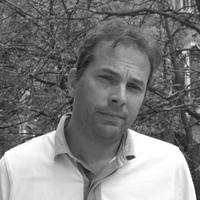 And consequently, never, never EVER rely on one single source of traffic and leads. If you are currently and heavily relying on AdWords and PPC to acquire most of your leads, you may be suffering from what marketing keynote speaker Marcus Sheridan once called ADS, aka AdWords Dependency Syndrome. It was true when I heard him coin the term in 2010, and it still is to this day, because it is currently one of the most common ailment we observe with clients who have yet to learn their lesson the hard way. Remember, “one” can be a very sad and lonely number in the online marketing business more than anywhere else, so I will say it again : do not EVER rely on just one source of traffic and leads for your online business. Fortunately, there are easy, painless and gradual recovery treatments for ADS. I’m not saying you should stop it, especially if it works for you - so far, anyway - but I urge you consider diversifying your sources of online leads so that you never follow my friend’s dreadful path. 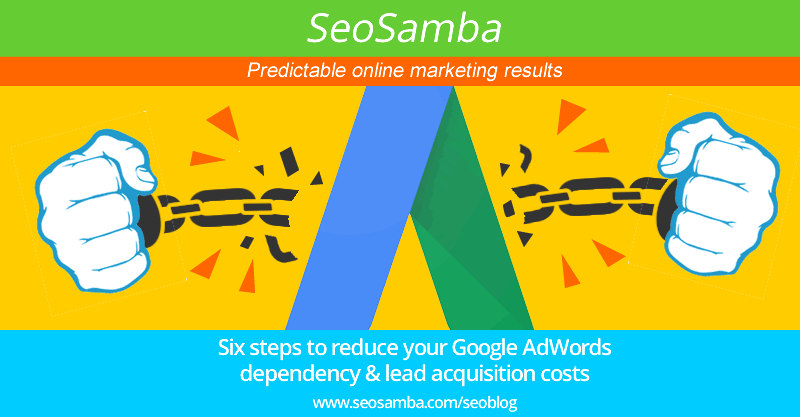 For starters, here are 6 steps to reduce your Google AdWords dependency, and as a bonus you will also let your lead acquisition costs drop dramatically if you follow all of these steps. AdWords is a huge, labyrinthine gas factory with hundreds of options that - depending on which you’ll turn on or off - adding up to countless ways of doing the same thing albeit with various results and price tags. Just about everyone with a strong focus, basic understanding of web marketing and some computer skills can setup a PPC campaign and run it more or less effectively. There is however a world of difference between getting more traffic for your website for an expected reasonable price, and seriously boosting your sales and conversions at minimal costs. For any marketing-dependent business, it’s the difference between mere survival and long-term success. Regardless of what you may have heard here and there, marketers and website owners do share at least one common goal which for the most part stands in just three letters: ROI. Just like you’d trust your favorite mechanic to get more gas mileage out of your car, you should call on experienced AdWords marketers to get your AdWords campaign audited and tuned up. 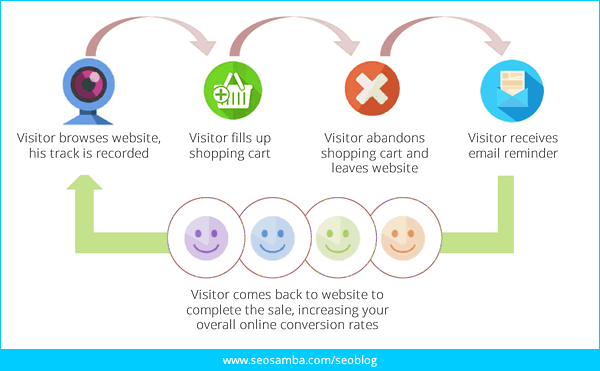 SeoSamba routinely shave budgets by 40% to 50% without any lost in leads counts. As you know, keeping up with Google’s search and display algorithms constant changes is quite a challenge, but there is one thing that Google will always love, and that thing is content. But for too many website owners, creating content is like a rain-making dance. Spend countless hours writing stuff, proofread and illustrate it, publish it just about everywhere you can and wait for traffic and sales to fall from the sky. This kind of “strategy” is a recipe for failure. If this sounds scaringly familiar, rest assured you’re not alone. According to content strategist Rebecca Lieb, up to "seventy percent of companies are operating blindly, without a documented content strategy to guide them." Relevant, meaningful content is the #1 weapon in your online marketing arsenal. Without it, any strategy, regardless how brilliant it is, is totally pointless and you are simply wasting your hard-earned marketing budget. 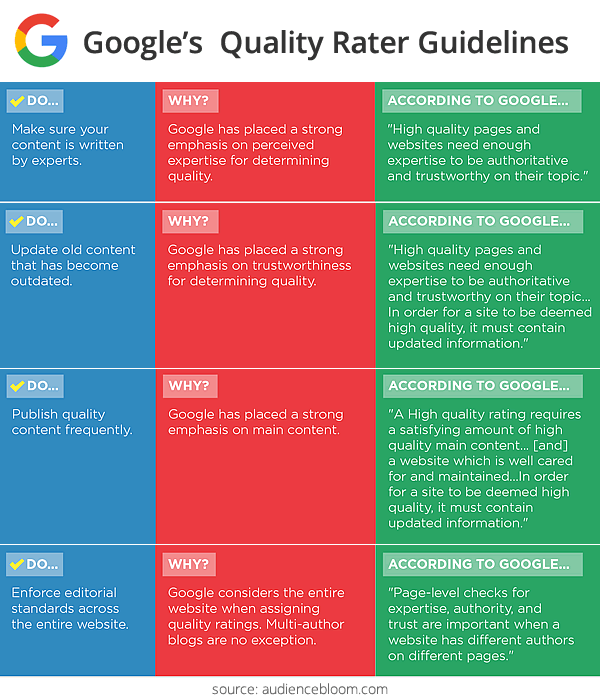 You don’t take our word for it, but maybe you’ll listen to Google who lists the following as some of its top concerns to rate the overall quality of a website: write at an expert level, create more content, and keep the content fresh. From optimized landing pages to news distribution and social activity, content planning and creation can make a huge difference in the web’s hyper-competitive context. Every dollar spent on content strategy, creation and promotion is worth ten times your investment in PPC. Ask your favorite online marketing experts how to build a sound content strategy before you send your money down the PPC drain. And just in case, rest assured that SeoSamba is here to help. Far from being a thing of the past as some would like to make you believe, natural referencing is still the #1 provider for online traffic. As of 2014, 33% of clicks from organic search results were still going to the first listing on Google, and in 2015, the top 3 organic listings still capture 60% of all search traffic. If SEO has suffered from such a bad rap in recent years, it is mainly because many businesses chose the quick, cheap and often dirty way to do it. 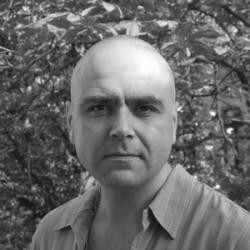 Be smart, don’t take the cheap SEO bait! With the right automated SEO software and smart SEO techniques driven by specialists with a proven record, your AdWords campaigns work hand in hand with your content marketing to boost traffic for your landing pages, both from organic and paid-for sources. 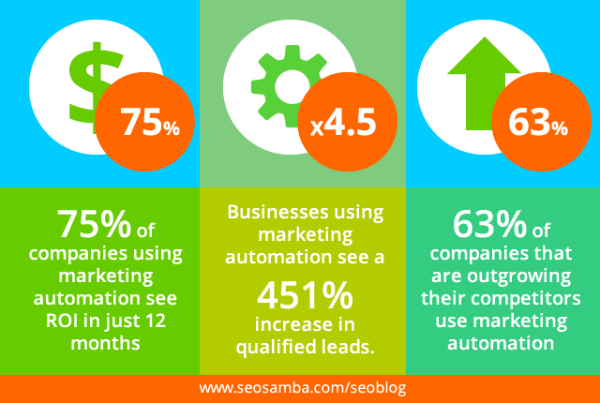 A SEO & ​marketing automation software industry leader, SeoSamba has helped thousands of businesses get their names on top of Google listings, boost their rankings on all top search engines to increase leads, sales and brand exposure. Too many brands still scoff at how crucial social marketing is for online business nowadays, or consider it a mere complementary tool for brand exposure or customer relations. Google is admittedly still fumbling with AdWords social marketing integration, as proves their recent ditching of the social ad extensions feature. On the other hand, online marketing specialists can help you gain a competitive edge to turn your social channels in cost-effective lead generation machines, and relieve you from the time-consuming tasks of community management. But first you need to carefully align your identity across all social networks. Says SEMrush, “The strategic alignment of ads, website pages and social media profiles or pages is often underestimated, but can significantly influence your conversion rate based on how well they live up to visitors’ expectations”. 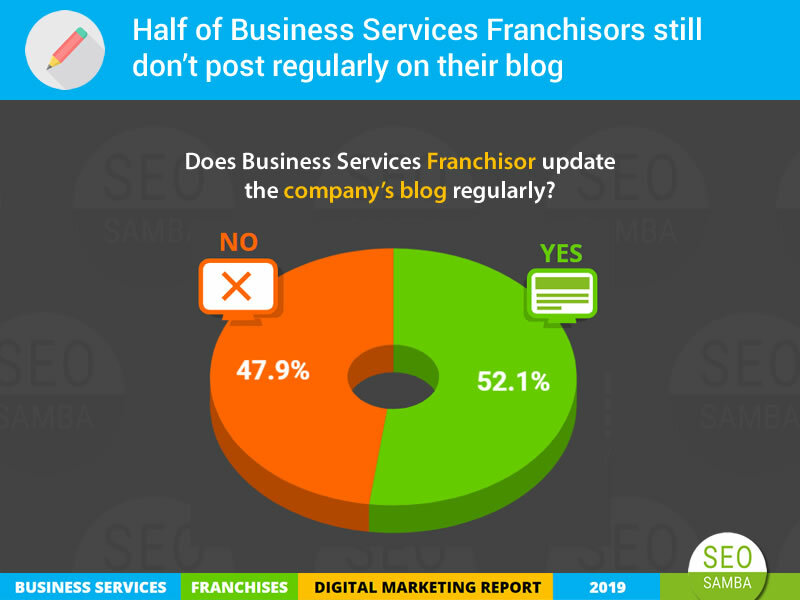 You also need to understand how social media actually works, and look at each social network as a specialized channels to be used for specific marketing actions, as we explained in a recent post about successful social marketing strategies for franchises. For instance, instead of just giving up on visitors that take no action after following one your paid-for ads, a streamlined social marketing strategy, along with email & SMS marketing, can really help your brand leave a positive, lasting impression on their minds. 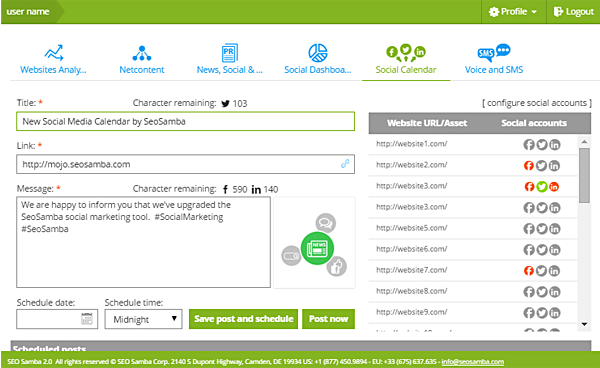 To maximize social efficiency and promote your content marketing efforts, you should seriously consider social marketing automation software such as SambaSaaS, a powerful multi-channels platform that lets you streamline your social strategy from creation to curation and key metrics reporting. As we’ve stated earlier, AdWords is nothing short of a gas factory and it’s only logical that you’d need much help even just to get started. Google is well aware of that, which explains in part why they’re giving away three months of account management when you open an AdWords account. You could say of AdWords what is said of the poker card game: one hour to learn its basic principles, a whole life to master its intricacies and subtleties. However, even the most advanced bid management software (on top of integrated AdWords automated functions) will only help you to a certain limit. As noted by PPC expert Andrew Lolk, it can’t predict the future, it relieves you from ongoing tasks when it shouldn’t, and it can’t fix what is already broken. Even more importantly, PPC automation won’t do any of the other work for you. Yes, its benefits do increase exponentially as your campaign threshold grows, but if all the rest - keywords research, competitive surveys, testing, landing page creation, ad design, etc. - doesn’t follow suit, all your efforts will be reduced to nil. Ever wondered why Wikipedia ranked so high on search engines? It’s not all just volume and traffic. Highly search engine-optimized pages, navigation, technical readability, and linking structure ending up in over two hundred and fifty million internally optimized links help Wikipedia's SEO efforts tremendously. To build a lead generating machine that runs smoothly and cost-effectively all the way through, you need operate within a framework that will help you streamline everything that happens outside the realm of PPC marketing. 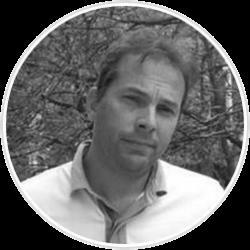 Similarly, to create a scalable lead generation goldmine for your online business, you need to adopt a scalable platform that can durably automate all the nitty-gritty technical work that is eating up your creative and strategy building time, all of this without the need for a computer engineering degree. There aren’t that many marketing automation platforms that will really help your online presence perform better to the point where it actually increases significantly your return on investment. Whether you turn to HubSpot, Marketing360, EmpowerKit, SambaSaaS or others, you should take notice of how online marketing automation is changing the name of the game and giving early adopters a vast edge over the “non-believers”. Now that you’ve optimized your online presence to boost conversions from keywords-driven organic and paid-for campaigns, all that is left to do is to ensure your online conversion funnel outputs actual numbers for traffic, leads and sales. Quite logically, you would expect the mighty AdWords to give you an unobstructed view on those all-important statistics. Unfortunately, it is not quite the case. 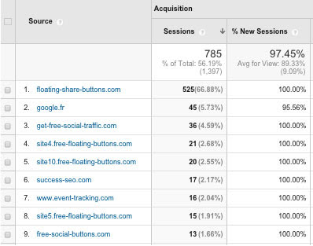 You may or may not know about it, but your website is most likely the target for what we call Google analytics spam. This virus is corrupting Google Analytics data and consequently gives you a false image of your actual conversion numbers. 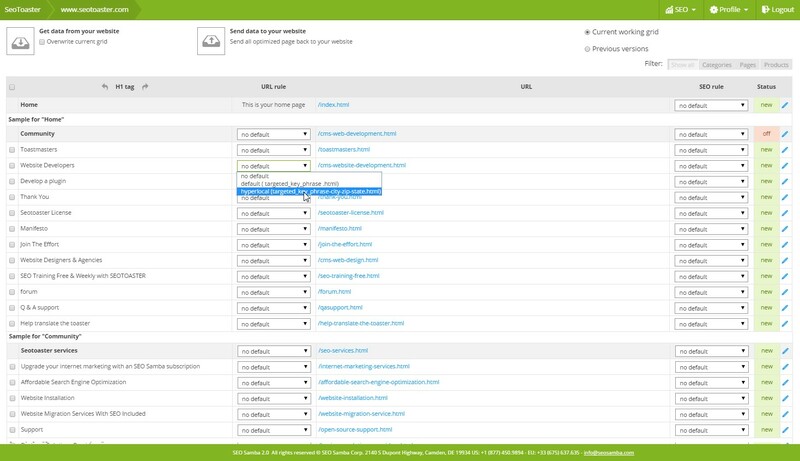 You can fix the Google analytics spam problem easily, so make sure you do that first and foremost. To get your analytics under control and straighten up your conversion funnel, especially if you are selling goods online, make sure to deploy AdWords’ dynamic conversion code. According to a Forrester Research study on cart abandonment, over half of your customers visit a second website, often a third or fourth one even, before making a purchase decision. In fact, up to 98% of shoppers won’t make a purchase on their first visit to a second site. So instead of worrying about getting more traffic from first-time, you should definitely focus on this overwhelming majority of comparison shoppers and make sure they keep you in their shopping venue shortlist. That’s when you call on remarketing to the rescue. 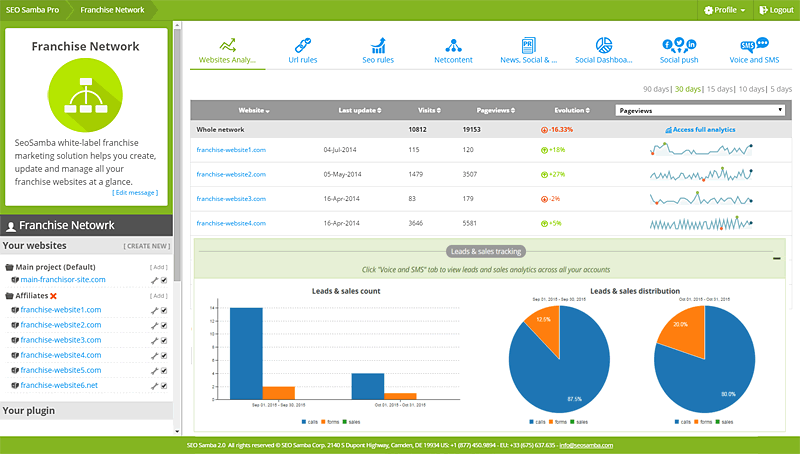 Setup your entire site to give accurate stats and in-depth customer insights. Segment your site for instance to address separately first-time and random visitors, recent shoppers and shopping cart abandoners. 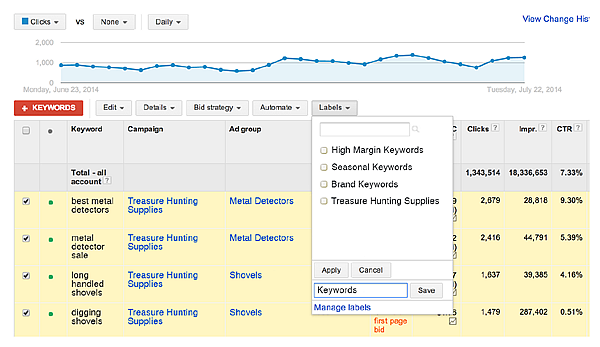 Target broader keywords and improved match types with your remarketing campaigns. Adding static and dynamic remarketing campaigns to your AdWords account will tremendously help in keeping your brand at the top of your prospective client mind. And remember, you want to pay only for clicks, not impressions! Implementing RLSA tags will give you insight on what is actually going on with online shoppers on your website like never before. 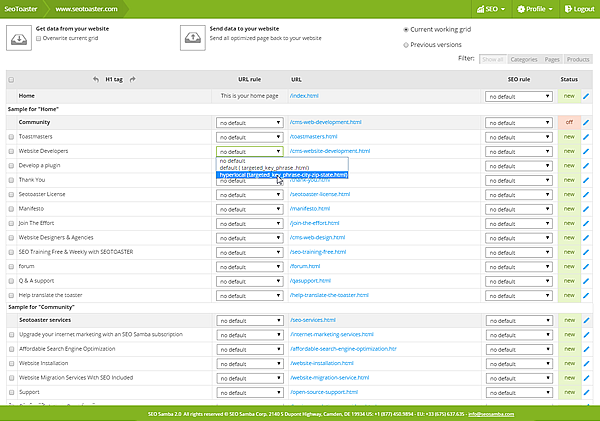 This will help identify any blocking issue and obstacle throughout the conversion and purchase processes, as well as collecting vital data about your visitors’ overall user experience. Once you’ve gotten major hurdles out of the way, implemented the right tools and streamlined your lead acquisition process, things will now get much clearer in terms of ongoing online marketing strategy and make way for potential future developments. Once you can rest assured that your online conversion process is on the track for continuous improvement based on actual and meaningful numbers, it might be a good time to think of less pressing matters that can also improve your return on investment, such as refreshing your website’s look & feel, and ironing out any usability issues. 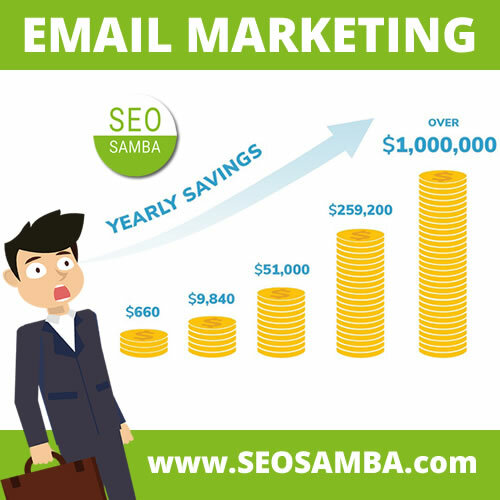 So there you have your 6-step SeoSamba-approved program to really make a great difference for your marketing dollars with PPC, SEO, content marketing, social marketing, automation and marketing.